ZUNTATA is the in-house sound team and record label of long-running arcade and smartphone game developer Taito. In the last decade, the majority of the music for the company was created by electronic game composers Hirokazu Koshio and Shohei Tsuchiya. While both were born after the release of Taito’s first masterpiece, Space Invaders, they’ve made sure they balance taking Taito’s scores in fresh new directions while paying homage to its revered past. In the first of a two-part interview with the pair, we talked to Hirokazu Koshio at length about his various game and album works on the company. Among his defining works are the minimalist soundtracks for the Space Invaders‘ latest incarnations, as well as the rhythm game series Groove Coaster. This interview was conducted in 2015, but its publication was delayed until now due to several issues. 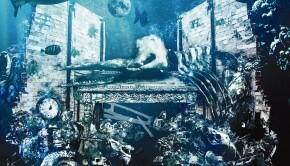 During this time, Koshio has featured on several new album releases and has left ZUNTATA to become a freelancer. Chris: Hirokazu Koshio, many thanks for talking to us today. First of all, could you tell us about your musical background and influences? What ultimately led you to join the esteemed Zuntata team? Hirokazu Koshio: I think there were three turning points when it comes to music for me: the first one was when my mother bought me the [NHK Silk Road Masterpiece Collection] soundtrack while I was in middle school, which was my first encounter with the synthesizers. The second one was when I joined a friend’s band while I was in high school. Although I played piano in elementary school, I didn’t realize how fun it was to make music until I joined my friend’s band. The third point was when I studied acoustics at college. I was able to compose, but didn’t really have much confidence in my abilities. I learned that musical expression doesn’t come from theory alone; to be honest, I actually wanted to study sound design. Chris: What ultimately led you to join the esteemed Zuntata team? 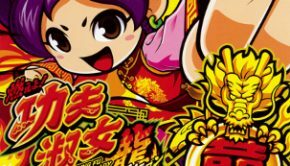 Hirokazu Koshio: I wanted to participate in the creation of Taito’s arcade games. This was initially more important to me than being part of ZUNTATA. I had a chance to do so while I was searching for a job. As you might know, the cabinets for the arcade games are designed in order to make it possible to physically control the way sounds are played to a certain degree. That fascinated me, and I said so in my job interview with them. Luckily, I ended up working with them! 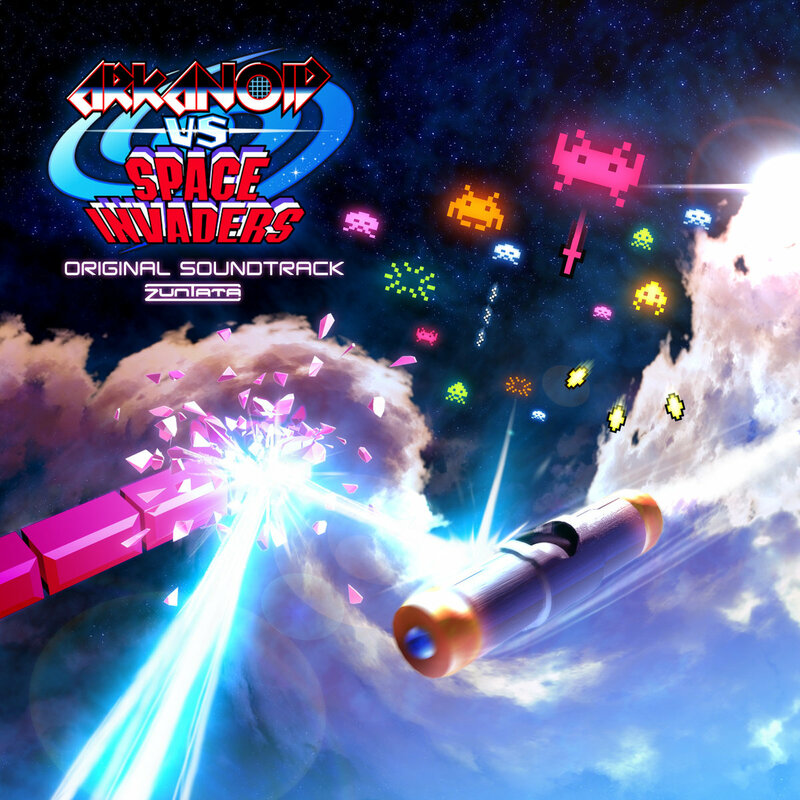 Chris: Along with Shohei Tsuchiya, you are among the younger generation of game music composers and were growing up around the time games such as Arkanoid and Space Invaders were popular. Did you play games by Taito at all during your youth and were you ever influenced by their music? Hirokazu Koshio: I was born in 1980, similar to my colleague [Shohei] Tsuchiya, so I played mainly the console games that were released for the Famicom and Super Famicom. Unfortunately I didn’t really have much contact with the Taito games that came out during the golden age of the arcades. Still, I did play a PC port of Space Invaders that came out later. The Taito games that were the most impressive to me were RayStorm for PlayStation and Densha de GO!, which I played at an arcade. 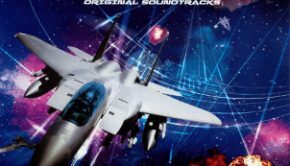 Especially RayStorm, as its music left quite a strong impression on me. It might have influenced my work. I’ve always thought I wanted to analyze and study the songs from it. Chris: Zuntata has clearly not forgotten its roots. In addition to helping the company release historic scores by Taito, your own projects such as Music GunGun! and Daifugo Party feature homages to these works. What inspired this? Was this inspired by your fandom of such works? 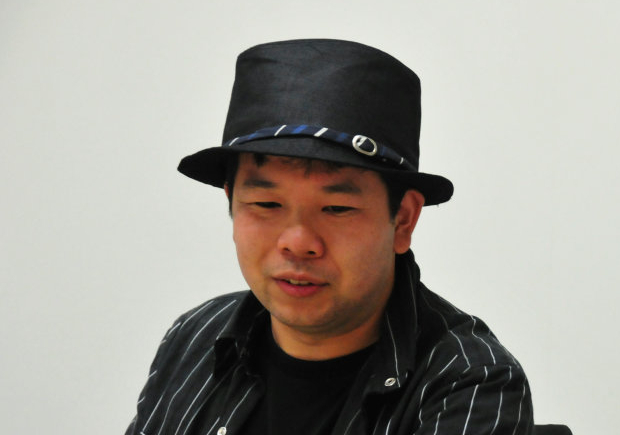 Hirokazu Koshio: I’ve had to arrange many songs from previous Taito titles. I’ve even arranged several of them for Music GunGun! and Daifugou Party as you say. After arranging several of these songs, I learned that the music in those titles had impressive melodies that were cleverly made to be heard in the arcades, and thus I tried to make them more lively using new musical techniques. I put all my heart into preserving the special features of the original songs, while incorporating several arranging techniques to them in my own style as well. It might be more accurate to say that, rather than thinking of myself as a great fan of them, I consider these past games a precious reference material. Chris: As an artist, you nevertheless specialise in creating progressive and atmospheric electronic music. When working on established franchises such as Space Invaders and Darius, how do you approach writing music? How do you express your individuality while still paying homage to the series’ roots? Hirokazu Koshio: I’ve always had a consistent stance on the games I work in: first, I think about the sounds from the world of the game I’m composing for. Then, I try and produce those sounds as best I can. This never changes regardless of whether I’m working on something for a pre-established franchise or for something original. 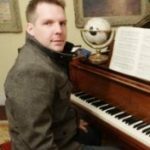 If I have to work on making a new title for an already-established franchise that follows the steps of its predecessors, the approach I take is emulating the songs from the previous games, but if I have to head for the creation of a new world, I completely forget about previously made songs. In pre-established series, since I’m writing for the many fans that followed the previous game in the series, I want to do my best in producing these songs in such a way that those fans will smile from ear to ear when they listen to them. 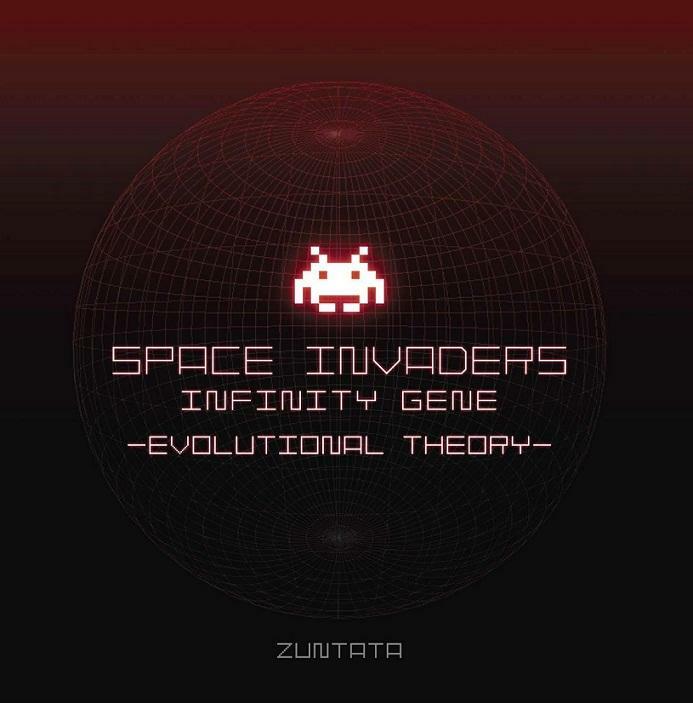 Chris: On that note, one of your landmark scores at Taito is Space Invaders: Infinity Gene. Could you discuss what inspired your minimalistic electronic approach for this title? How were you able to enhance the sampling and interactivity with the transition from mobile to iPhone? Hirokazu Koshio: While I originally thought about producing a game with a techno approach when we made Space Invaders: Infinity Gene, I ended making music far simpler and more solid than my initial ideas. This was thanks to discussions I had with the game designer, [Reisuke] Ishida, about how to extensively depict the game world in my songs. I also incorporated lessons Ishida taught me on producing music: basically, some tips on taking sound design into consideration. When we ported the game to the iPhone, I immediately wanted to make all sorts of splendid music because this lifted a lot of the restrictions I originally had, but since I wanted this version to inherit the original game’s spirit, I carefully played around with the sounds in a way that didn’t make them too rich. Maybe that’s what ultimately gave the game its simple yet profound sound. Chris: The music of Space Invaders Extreme and Space Invaders Extreme 2 is more diverse in its musical approach. How would you compare your scores for these games and what inspired the different approaches? Hirokazu Koshio: The two titles had their own advertising slogans: “SPACE INVADERS is COOL and EXTREME! !” and “SPACE INVADERS IS COOL and POP!!”. As these express not just their respective game’s image, but also a musical orientation, I ended up incorporating pop elements with a cool electronica base in the score to make Space Invaders Extreme 2 more refreshing than its predecessors. Chris: You also helped to revive several other classic franchises, such as Arkanoid, Bubble Bobble, and Densha de GO!. How did you approach the music for these titles compared to Space Invaders? Chris: You incorporated music from the Space Invaders titles into several albums, most notably Space Invaders Infinity Gene -Evolutional Theory-. Can you tell us more about this album? Hirokazu Koshio: Evolutional Theory was the first album I ever produced and released on my own. As it’s a game soundtrack, I put all my heart into designing it to be a solid release that fit the game’s image in all possible ways. That’s why it might be somewhat inaccessible to a more typical public, but I think it ended being an album that should satisfy all the core fans of Space Invaders Infinity Gene. Chris: Under the leads of yourself and Shohei Tsuchiya, Zuntata Records has released several other stunning physical albums in recent years. Could you tell us more about COZMO -Zuntata 25th Anniversary-? 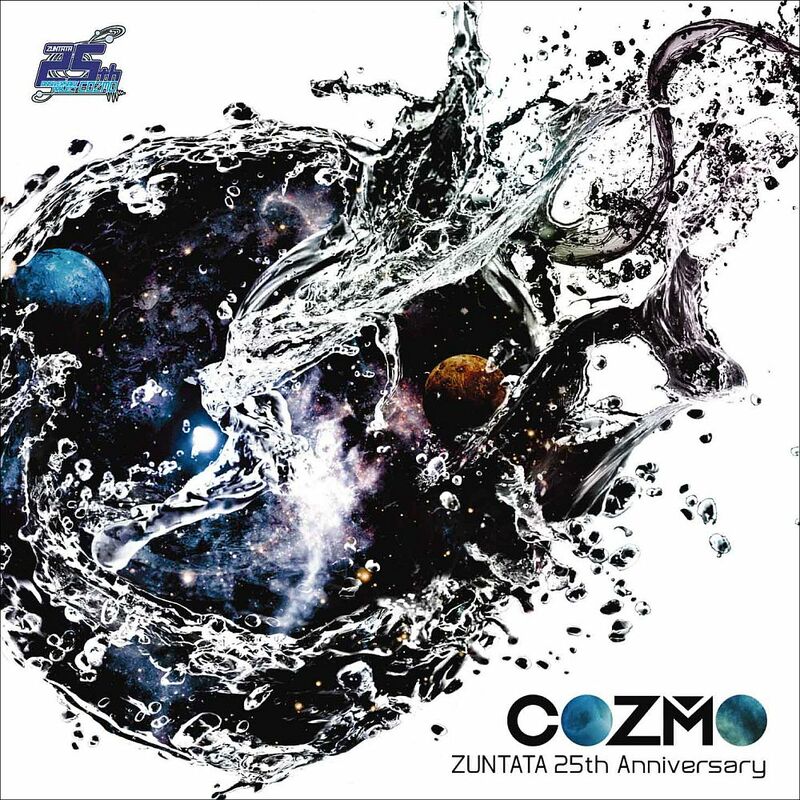 Hirokazu Koshio: COZMO was planned to be a CD that commemorates ZUNTATA’s 25th anniversary. The concept for it was simply something that all ZUNTATA members, past and current, would like to hear. So, instead of just making a “best of” album, we ZUNTATA members made one disc with songs representing current members and another with songs representing the past members. The chosen songs for the “past” were also made for the members themselves, so while unfortunately some fans thought it didn’t contain many songs with styles that were typical of ZUNTATA, I think that it could be the most ZUNTATA-like album we’ve ever made. Chris: You have also been active on the live circuit, performing Space Invaders, Darius, and others at events such as Video Game Music Live EXTEND, Double Game Music Live, and Area Pico Pico 88. Could you share your experiences at such events? Is performing live natural to you or do you consider yourself more of a studio musician? Hirokazu Koshio: I basically spend my time clicking and typing to make sounds on my desk, so my performances would be pretty crude because I don’t practice on the keyboard every single day. I’ve even gotten the feeling that my hands are losing mobility with every passing year, which only makes my playing even worse! But despite that, I still love live performances a lot. There are issues with live performances: We need a completely different approach to making arrangements for the lives from the one we use for normal game music, which songs we should play, what kind of performance would be most suited for our fans, how we would keep from failing, and so on. It sometimes seem very problematic to try to arrange a live performance. But I actually think that doing something like that is an extremely important experience for anyone who wants to put their game music skills to use. And I must never forget the encouragement our fans give me during the live performances, which has given me a lot of motivation for my work. Generally speaking, I could say that these live performances have become a source of encouragement for the music I create. Chris: You have also participated as guest contributors on various independent albums for artists such as Yuji Takenouchi, Nobuyoshi Sano, and Hajime Uchida. Is it satisfying to participate in projects like these? What contributions are you most proud of? Hirokazu Koshio: When I saw how people started enjoying the sounds I made, that erased the concerns and doubts I originally had. Honestly speaking, I think it was great that doing these collaborations changed my mind in a positive way. I think it’d be great if I got more chances to participate as a guest in other albums, as I feel there’s a lot of worth in doing it. Chris: While this interview has primarily focused on established franchises, you have also worked on new intellectual properties, ranging from Cyber Attack to Sonic Blast Heroes. Having principally focused on scoring existing franchises, what was it like to work on a brand new intellectual property? What projects are you most proud of? Hirokazu Koshio: If we’re speaking about if I feel confident on my music, I’d say that I really feel very confident on the sounds I make regardless of which title they’re for. Still, there are many titles where I used new approaches making the music for them. These which are the titles that were brought up before: aside from titles like Cyber Diver and Sonic Blast Heroes, we also have titles like Haunted Museum II, Kickthrough Races and My Happy Manner Book. Huh? Almost all of them were original IPs…*sweatdrops* Also, we mustn’t forget about the “Taito Station Theme Song”. While it isn’t game music in a direct sense, I still think it’s quite a great and important product both to Taito and to myself. 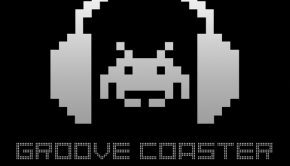 Chris: A great success was the rhythm game Groove Coaster, which was recently commemorated with a fully-fledged album release. Could you tell us about how you created such a dynamic and enjoyable score for this project? How did you balance the score to incorporate original compositions, guest composers, and classic tributes? Hirokazu Koshio: The general approach we had for Groove Coaster was to make a musical game that felt like riding a roller coaster. When it comes to the gameplay, the music’s rhythm serves as a great hint to the players, as you should know. Because of this, when I was asked to compose the music for it, I put special emphasis on giving the songs a rhythmic and fast-paced vibe. Also, since the players each have their own musical tastes, I needed to make the music varied so that as many players as possible would be able to enjoy the game. Naturally, I also included some tribute songs in it, but I wasn’t paying any sort of special attention to the tributes; instead, I just thought about the songs I recorded as original pieces and variations on copyrighted songs after imagining what the players would request from us. Chris: Could you tell us more about the soundtrack release? Hirokazu Koshio: The Groove Coaster Original Soundtrack is just like all the other titles I’ve worked in. The music isn’t restrained by the concepts and story, so I made a large variety of songs in a way that was fun to me. In exchange, the concepts and story that weren’t represented in the music ended up being expressed in the cover art and booklet. 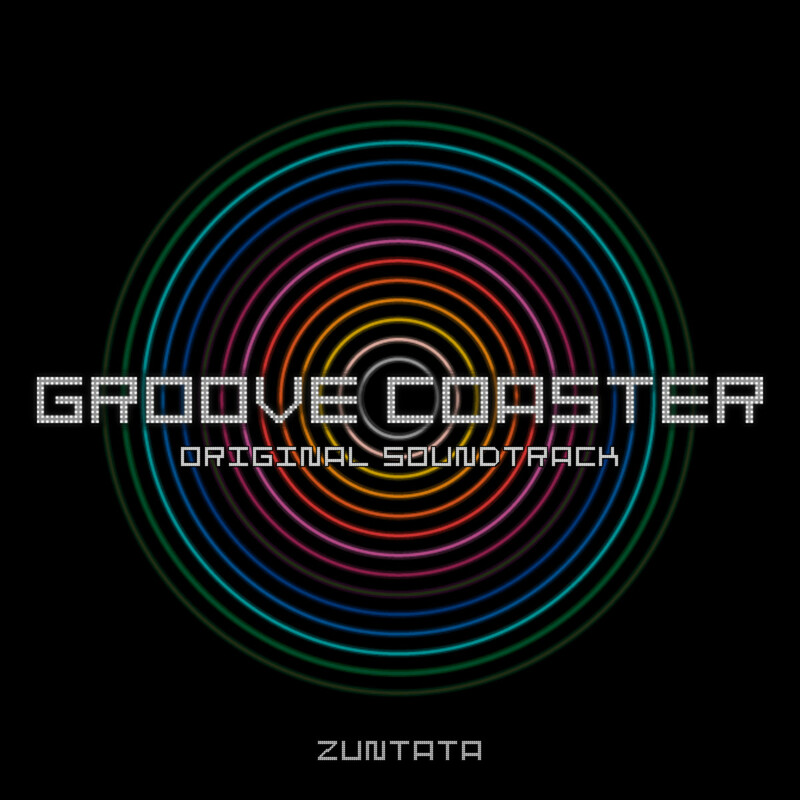 As this conveys the musical diversity Groove Coaster has, it made me think that it should appeal not only to ZUNTATA fans, but also those fans who came to know us through Groove Coaster. Chris: Many thanks for your time today, Hirokazu Koshio. Do you have anything more you’d like to say about the ZUNTATA sound past and present? In addition, is there a message you’d like to send to your fans around the world? Hirokazu Koshio: As I got the chance to talk about so many things today…I don’t think there’s anything else I’d want to say! I might be repeating myself, but my greatest satisfaction would learning that my sound design and creation make everyone a little happier. And please, make sure to look forward to our next works. Also… send us some fan mail whenever you like! Posted on August 13, 2016 by Chris Greening. Last modified on August 14, 2016.